What is my Violin Size and where do I get them? – Even Adults should read this! In my last blog post on selecting a violin, I did not cover this. Yes it is definitely important when choosing a violin to be able to get a sizable violin that fits you well. Just like getting the right glove to fit your hand when playing a sport like golf, you most certainly will not want it to fly off together with your swing! Violins come in sizes from 1/16 to 4/4 and have fixed standard measurements. The most obvious way in determining what size is for you would be to measure your arm length from your shoulder (start at the neck area end at middle of palm) to check that the size is correct. Most good music stores would be able to size you correctly with this method as there is a fixed chart for this. This is the method that I favor more. I would pick out a violin that is an estimate size proportionate to the student, then let the student hold the violin in a posture like they were to play it. However, extending their arm to the end of the violin with their fingers and hand palm encircling the violin scroll. It is important at this time to make sure that their elbow is not in any angle and their arm is stretched out straight all the way. If there is an angle at the elbow while wrapping their hand around the scroll, the violin is most likely too small for them and if they are finding themselves stretching out with difficulty to grasp the scroll then the violin may be too large for them. I personally use this method and not the first measuring method as every individual has a different physique and would be best to see how they take the the instrument size visually instead of just using a ruler. This would be a tip to all violin teachers out there to invest in getting the various violin sizes like I did so that the student will always have a correct sized violin to use at all times (and of course matching shoulder rests). I actually recently sent my daughter for her ballet class without her shoes, I was thinking it is probably a similar situation here 😄 when the kids show up without their violins which happen more often than you think! B) Check finger posture playing at first position – is it alright to buy a violin that is slightly a larger size for the child to grow into? It is important to also check that your four fingers can reach all notes COMFORTABLY in the first position. And that the pinky does not have to stretch unnecessarily. Just like shoes, you will not want to buy a size too large for your kids that it is likely they might fall down wearing them, it is better to buy a violin at a suitable size for the child to use comfortably and to be able to learn well without the added frustration to deal with a badly sized instrument. If one is using a violin too small, it will also be frustrating as the bow may seem too short and the finger positions and elbow positions are undermined and incorrect so it is also important to upgrade the size in a timely manner. How about getting a bow at 3/4 size and violin at 4/4 size? My answer is not to mismatch sizes. Do not buy a violin and bow of a different size. I have encountered more than a few students whose teachers have given such advice. The violin and bow should be the same size as that is what it is intended to be. Using a shorter bow does not give a “baroque effect” as a baroque bow in construction and shape is different. If your arms are shorter than average, then there are ways to deal with this without resorting to get a different sized bow. One way would be to use less of the tip of the bow and just the parts you can reach – do not bow further if your bow stops moving in a straight line and starts to curve inwards towards you. (To check this you could look In a mirror) Or you could swing gradually your violin towards the front while bowing downwards to reach the tip of the violin bow. Lastly a word for adult beginners, the size for an adult is always a full size 4/4 violin unless you are particularly petite than you would use a 7/8 instrument. (Most kids at the age of 12 are using a full sized violins) Do take note that using a 7/8 instrument limits your purchase as most good violins come in full size and the selection for 7/8 is much less. For this I would recommend if you have a budget to get a violin made in the 18th century as they tend to somewhat be slightly smaller in size. Or choose a violin with a thinner fingerboard (width) if you have small hands. Some French made violins have a thinner fingerboard which may give an advantage to someone with small hands) Whatever the case, I would highly recommend going to a large violin shop with a big selection and if you can, you could try the good ones like Bromptons violins or Tarisio where they have an excellent selection of instruments ready for purchase or by auction (so it could be a good deal). They also have valuations on most of them and appraisement certificates which certainly helps with certainty of investment. Not mentioning a very large price range to their violins and bows and even some rare beautiful cases. 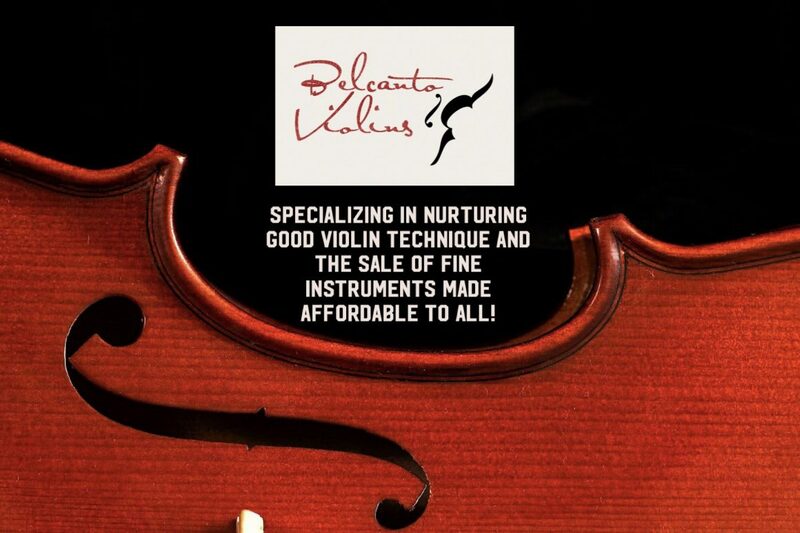 If you were to consider a more inexpensive violin in the 1000-2000 range, Belcanto Violins does occasionally carry stock of 7:8 size Violins. Do like this and like and comment on my Facebook Page “Belcanto Violins” and let me know what other violin related topics you would like me to write about! Thank you for reading 😃. Next ﻿Should Etudes be practised for solely technical precision or also with musicality in mind?